Based in the Vale of Belvoir, in the geographic heart of the East Midlands, Belvoir Safety Services Ltd has been established with one aim; to provide sensible, reliable and cost effective advice and guidance in Safety, Health, Environment and Fire matters for small and medium size businesses. As a ‘small’ business ourselves, we know what is important to the small business owner. There is probably nothing more frustrating or dangerous for your business than an ‘off-the-shelf’ Health & Safety document package, which is completely generic and bears no resemblance to your business. We specialise in helping the smaller organisations such as family run companies, shops, pubs, offices, and local charities, all the ones who can least afford to have an accident, to keep their staff safe. We will advise you what needs to be done to keep you, your staff and visitors/members of the public safe. Our advice is always proportionate to the risk. We will advise what you could do yourself, perhaps with our guidance and what we can do for you. We abide by the professional Code of Conduct, of the Institution of Occupational Safety and Health (IOSH), whose professional code of conduct can be found here. 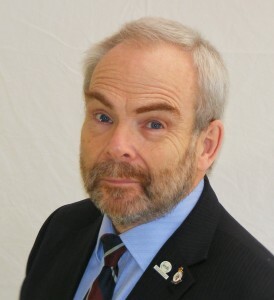 Bernard is a Chartered Safety & Health Practitioner, listed on the Occupational Safety and Health Consultant Register, who served over 30 years as an aircraft engineer and health and safety officer in the Royal Air Force. From major engineering facilities with dangerous explosive hazards to large office blocks with complex escape routes, Bernard has amassed considerable experience in diverse environments around the world, including implementing environmental protection measures. He can apply that great diversity and breadth of experience to the unique situation that is your workplace. Bernard has a wealth of experience – and is not slow to research and grasp any detail of a specific process he’s not already familiar with. In providing Viking Signs with health & safety advice he’s been both pragmatic and thorough in appropriate measure. I hired Bernard to help draw up a risk assessment and method statement for a timelapse installation on a tricky rooftop and he was excellent – professional, knowledgeable and give practical, useful advice that supported our project rather than restricting it. He went above and beyond to review the site conditions, check specialised PPE and access/egress routes. It was clear that original thought and consideration went into every stage. Thoroughly recommended. …I think we were truly overwhelmed by the amount of paperwork [left by the County Council] and the possible cost of keeping it all up to date. Your very pragmatic approach was just what we needed. On behalf of the Charity can I say a very big ‘thank you’. Susan Meech – Chair of Trustees. Bottesford Community Library Assn.